Just a mild-mannered, Clark Kent type of BBQ sauce. If you have a whiner in the house, this is what you give them. Makes a great gift for the pepper in tolerant. 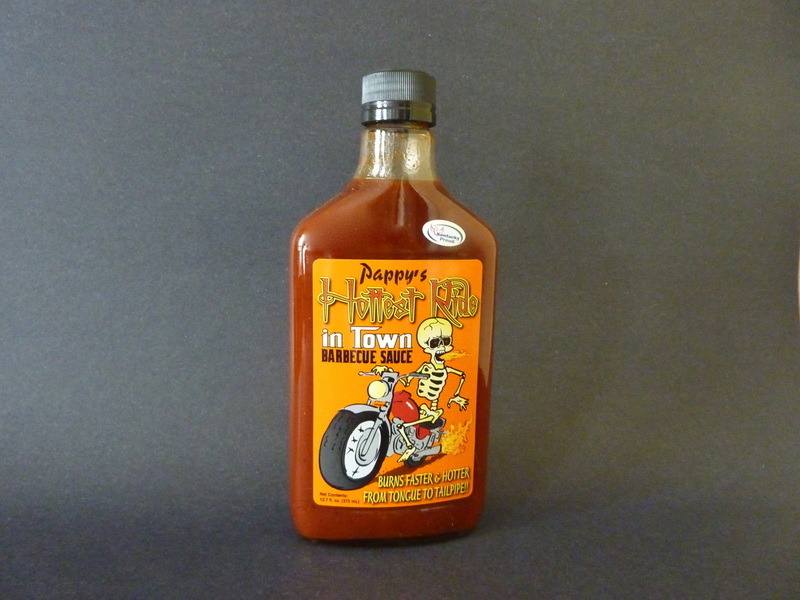 Our best selling BBQ Sauce! One of the unique characteristics that endears this product to the consumer is the incremental waves of flavor that produces 5 seconds of flavor profile, ending with just a little kiss of Southern love (habanero). People who enjoy hot flavors love this sauce. On the outer edge of endurance for most barbecue folks, those who say it ain't hot are the same people that think battery acid is a culinary treat. Burns Fast, Hard, and Deep! Keep in mind chile heads, this is not a hot sauce, we said BBQ SAUCE with all the heat most normal humans would ever consider ingesting at a sitting! Here's a different sauce born in the USA!! Splash on steaks, burgers, game, bacon wrapped scallops, chopped or pulled pork. 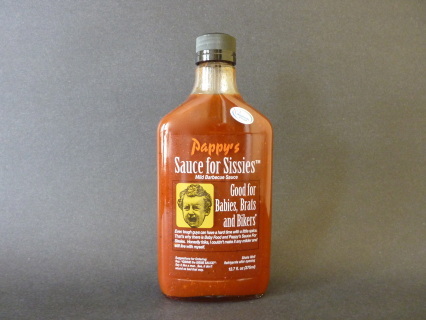 Use as a steak sauce or marinade too! 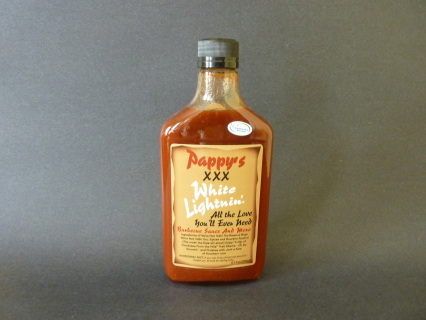 Heck guys, I really don't know what it is about this stuff that gets the Yankee women all worked up, but I swear you'll get lucky just putting this in the pantry! 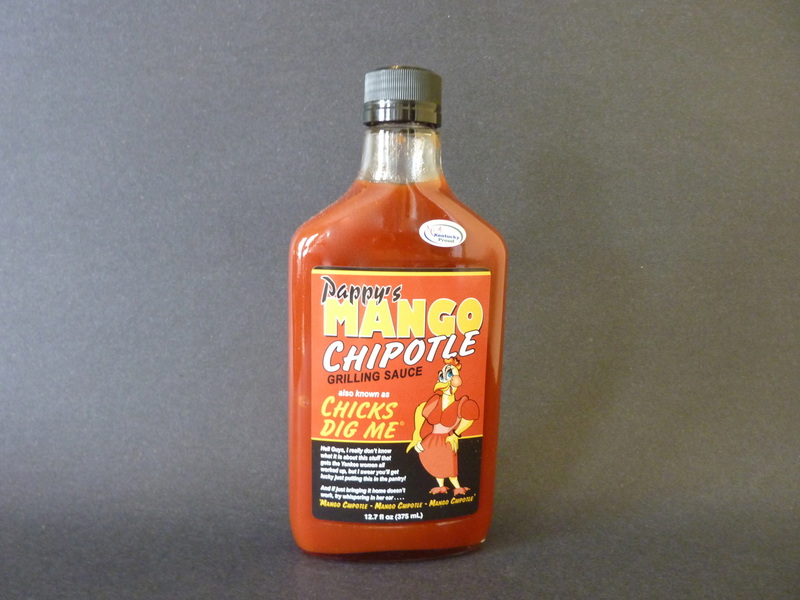 And if bringing it home doesn't work try whispering in her ear ..."Mango Chipotle... Mango Chipotle....Mango Chipotle..."
Designed specifically for those who like a little "kick" in their cocktail. Wing-type hot ... edible, but will bring a sweat to the average brow. 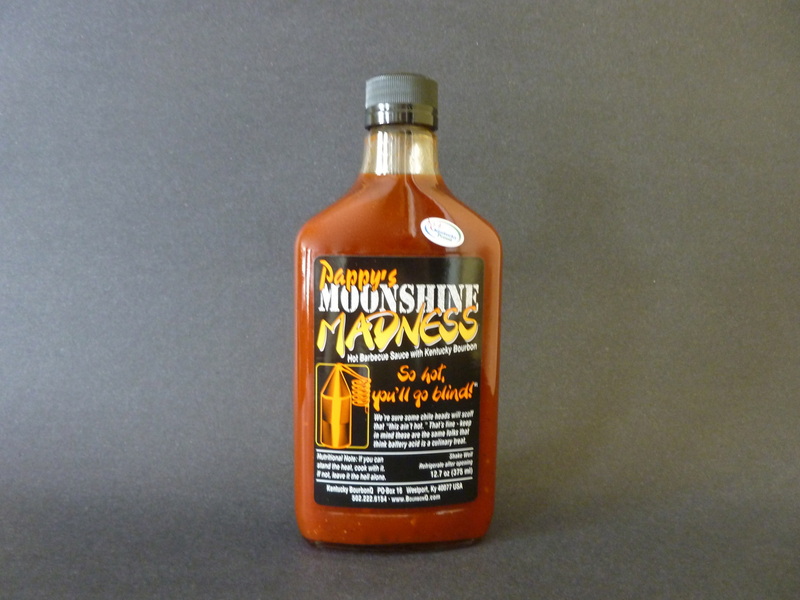 Not your average BBQ sauce. Singe a few tail feathers... unless you'd rather stay in the hen house!